Burnt face, Holiday & Moving House Soon! Talking of the sun, I'm going on holiday in less that two weeks! I'm so excited to get away from work and spend two weeks away with my boyfriend (D) and his family in the South of France! And then (so much going on!) approximately three weeks after we get back me and and D will be moving into our very first house together!!! I'm seriously excited about this! His family have been amazing in letting me stay with them whilst we find a place, especially as it has taken so long! Honestly we've been looking since January! But with our work schedules and it being a drive away (me not having a car hasn't helped) and a couple of let downs where landlords have chosen other tenants over us it has taken months upon months. However, brushing all that aside we have found a mini house :) my days are literally being taken over by looking at all the house stuff. I got over excited when my new pans and kitchen knives arrived on Saturday, things are getting serious. What else do I need though?? 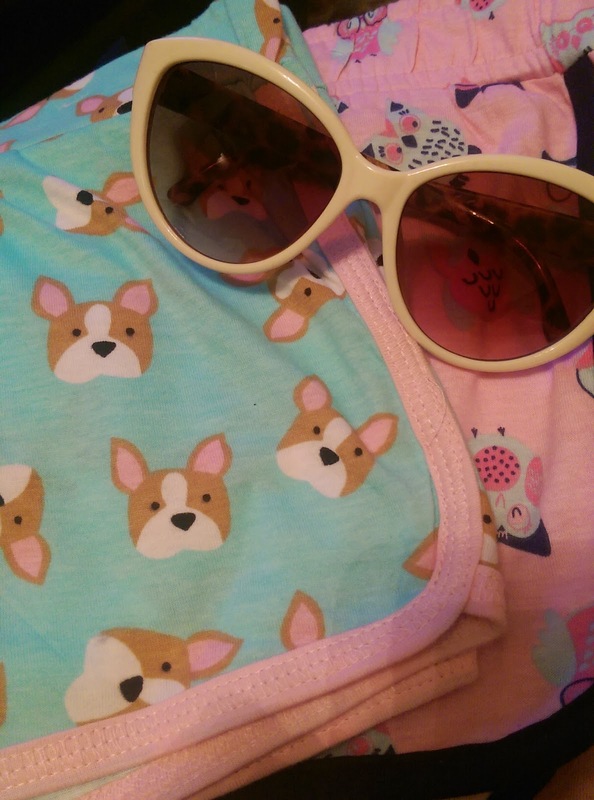 We're okay for things like knives and forks, glasses, mugs, duvet covers, bed, wardrobe. We will definitely need a sofa, a fridge, a hoover and a toaster and kettle but they're the bigger things. I want frames for my pictures I've got and other stupid little decorative items but there's just so much and we have a teeny tiny place! I just want it to be like home, our home, omg it's both scary and exciting! 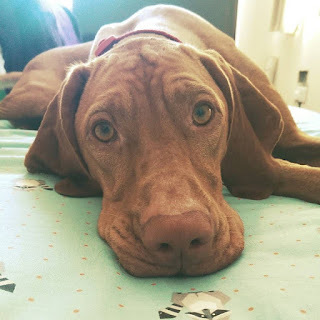 Last night I was really struggling to get to sleep as it was so ridiculously hot, tossing and turning and being super grumpy and annoying as omg it's infuriating! When I started thinking of my blog which I keep getting bored off and you know I think it's because as much as I love reading make up reviews sometimes actually writing them constantly is dead boring for me. Plus I really don't try new stuff all that often. So it got me onto thinking that I might just try writing about life things. So my blog is just going to be a little more random, have a bit more variety than review, review, review. Of course my life isn't all that interesting but I figure that maybe it'll be of interest to me if I can look back on it and remember stupid little things that may have happened! For instance my boyfriends nutty family dog who can be so focused on you one minute but the next frantically hunting down a fly like nothing is more important. She looks pretty cute and sane here doesn't she? Except she can be off the charts mental! 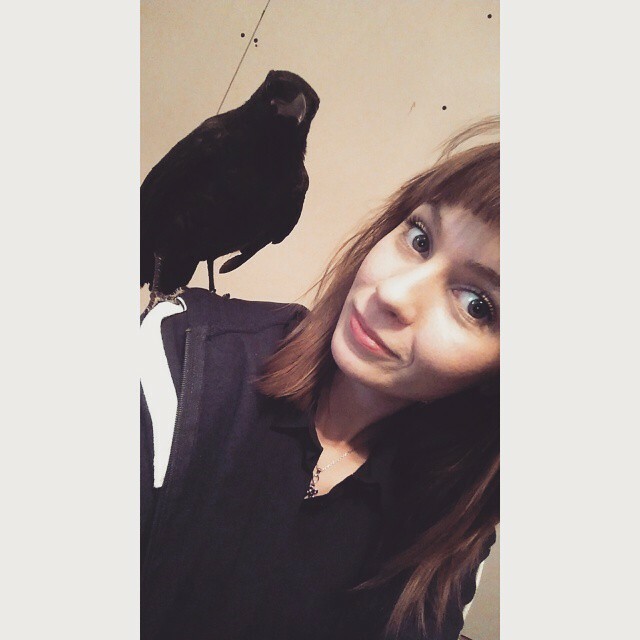 I even neglected to tell you guys all about the crow my boyfriend bought home to feed and then eventually release. Turns out he/she (?) was mega friendly, loved sitting on my head. Poo'd everywhere! Slightly stressful. The crow still hangs out in our garden which is cute. What I really wanted to talk about though was this amazing present I got off of my boyfriends parents! It's something I have wanted to try for a long time but have never actually got around to getting! 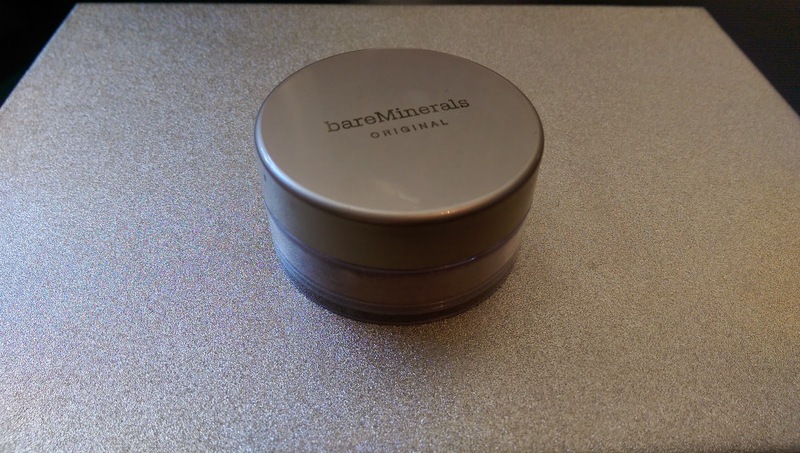 Which is Bare Minerals ( I have sampled there new liquid foundation which I wasn't a fan off but not their original foundation). I am seriously impressed with this stuff. I love it. I watched a few youtube tutorials on how to apply it effectively and I am blown away at its build able yet natural looking coverage! It hasn't broken me out, and I only use concealer under my eyes as it's very good and covering up any red marks. Seriously, if you have been thinking about trying this foundation, do it! 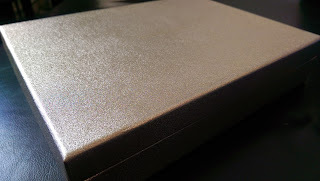 Came in a lovely sparkly gold box! I'm addicted. Will definitely be rebuying! 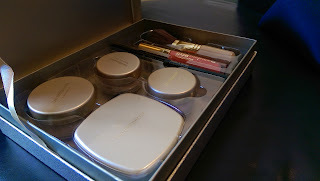 Never thought I would be one to go with a powder foundation as I didn't believe they could give me the coverage I wanted, but I was so wrong! Okay so you're going to have to excuse my eyebrows as they really really need tidying up haha I just forget them as my fringe tends to hide them :O Just focus on my eyelashes! So today I want to talk about L'Oreal Paris False Lash Flutter Mascara (£10.99) and MUA Mega Volume Mascara. L'Oreals has been my go to for a while but I thought I'd try the MUA one after hearing some good things and it was just £3 in my local Superdrug! Above I have two photos, the left of the two shows me wearing the L'Oreal Paris False Lash Flutter Mascara on one eye and nothing on the other. 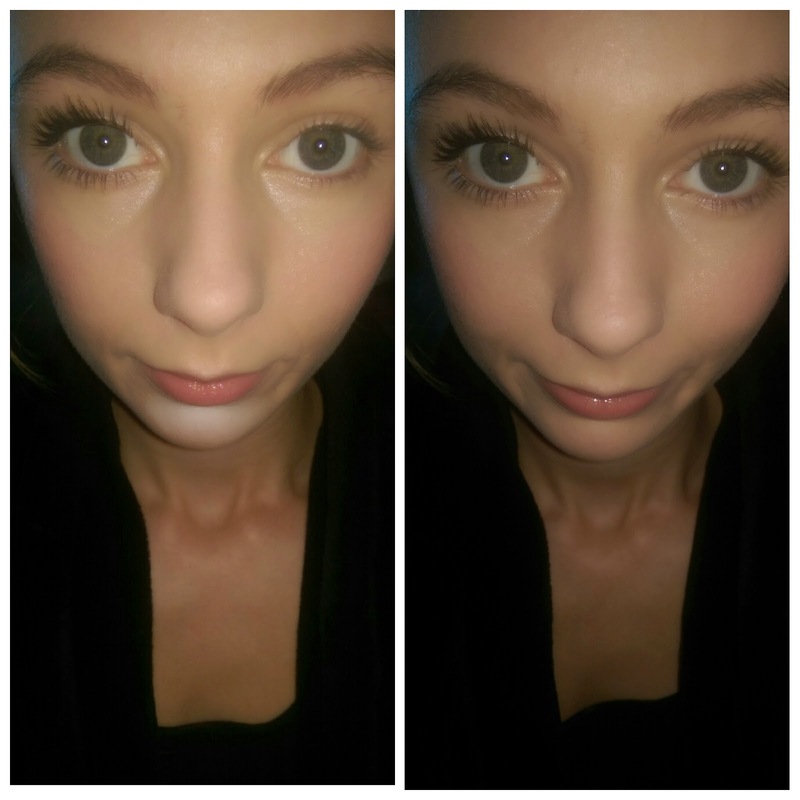 On the right picture I put the MUA mega volume mascara on. Both are just one coat. 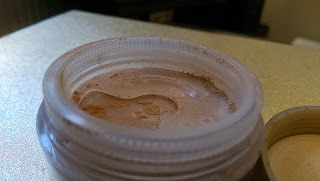 I'm sad to say I was a little disappointed with the MUA one considering it's called mega volume! I figured it would have more oomph but instead it's more a mascara I would use on my 'no makeup' makeup days! Which I guess is a good thing, but the name gives you the wrong impression. So for now I'll stick with the l'oreal one that both lengthens and adds more volume really making my eye pop :) Both are easy to remove (I use grape seed oil to take off my makeup) which considering they're waterproof is brilliant as waterproof mascaras can be sooo annoying to remove! 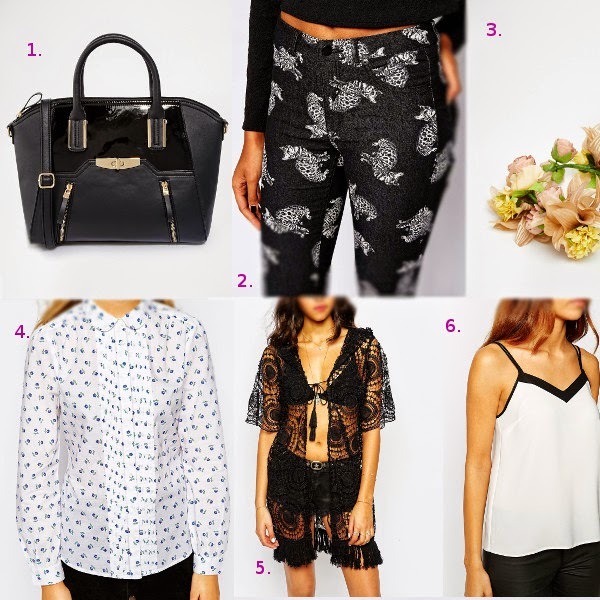 Some of the things I'm loving on asos at the minute! I've actually bought number 1 and 2! Unfortunately I think the trousers are out of stock now :( I'll let you know what they're like when they arrive! I redid my hair you guys! I was really like 'argh what should I do, should I redo it or not?' In the end though on payday I decided I was going to go for it. After all I've done it once so in theory it should go better? Plus I wanted it a bit higher up. 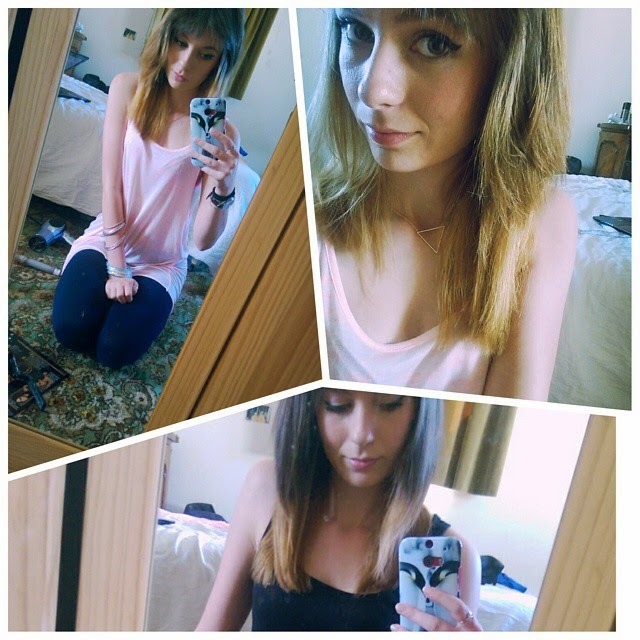 So here's the picture I uploaded to my instagram, the lowest pic is my before. As you can see it was quite a small amount of hair and a more defined line. Where as this time I wanted something a little more flowy. And I'm happy with how it came out, especially for a home kit! Also how amazing has this weather been? So lovely, so hot! And just a little mention, as I'm definitely taking advantage of it, but asos has a 70% off sale. I'm really sorry if you were trying not to buy anything, but I wasn't either, hehehehe. Review: Goody Start Style Finish 33mm Hot round brush + Some more buys! 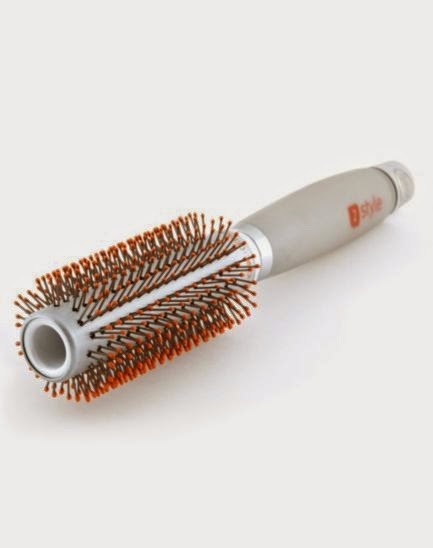 Okay so onto something else I haven't spoken about yet and that is the Goody Start Style Finish 33mm Hot round brush that I picked up in boots for £10.20. I initially went for it as I like using these brushes to style my fringe as my hair can fall really flat and this isn't a good look for my bangs! I've never heard of the brand before, but then I don't buy brushes all that often. It wasn't till I got it home that I actually read the packaging and the fact the brush is supposed to heat up with a hairdryer on it to help form waves/curls better. I really like it so far! 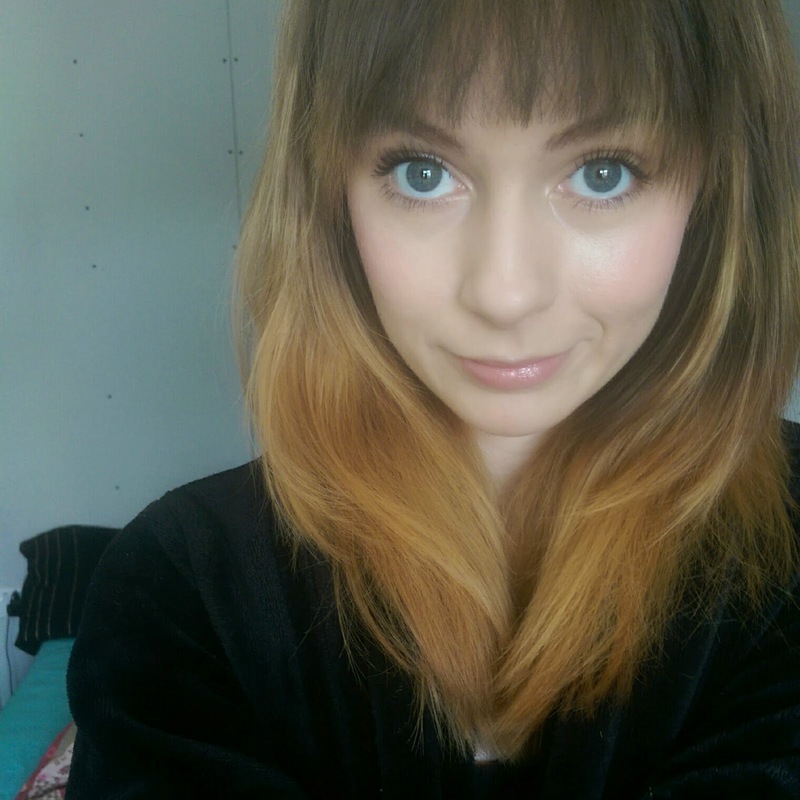 It does what I wanted it to do with my fringe and I also like to use it to add a little bit more volume to my hair. Seems to work best if I blow dry my hair on it and then leave it too cool down for a bit. If I want extra staying power I spray on some L'Oreal Elnett Satin Very Volume.